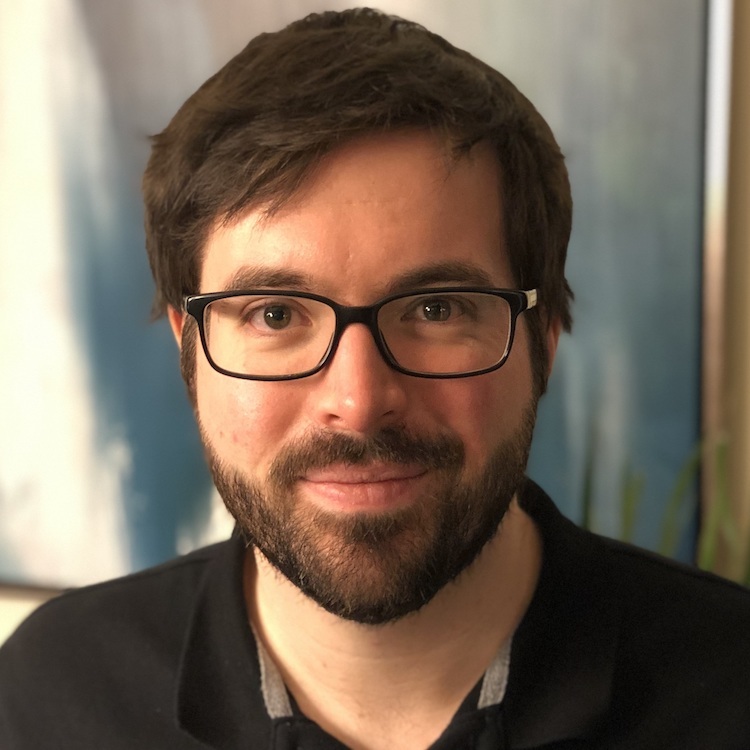 Olivier Mercier is the recipient of the 2018 Alain Fournier Ph.D. Dissertation Award. His dissertation, entitled “Iterative Solvers for Physics-based Simulations and Displays”, addressed several important problems in the areas of realistic physical simulation and efficient numerical methods, with diverse applications to scalable fluid dynamics and computational imaging. The effectiveness of software tools in digital content creation and consumption for computer graphics, particularly in the areas of physics-based animation and image synthesis, relies on the development of numerical methods with predictable efficiency and reliable error bounds. Dr. Mercier’s thesis presents a body of works that address fundamental problems affecting the scalability of quality in interactive graphics applications. In every instance, Olivier’s solutions push the state-of-the-art in their respective application domains, starting with a method for decoupling coarse volumetric fluid simulations with fine scale surface-based dynamics. Here, Olivier proposed a stable wave-based dynamics simulation that marries seamlessly atop many existing underlying fluid simulators, allowing for the augmentation of the effective resolution of these base simulators with sub-linear growth in computation cost and memory. Continuing the trend of these works, Olivier devised another efficient numerical method to address an important problem in focal stack decomposition in virtual reality. His iterative algorithm efficiently computes multi-plane display outputs suitable for rendering in novel virtual reality displays. The crowning work in Olivier’s thesis marries the insights gained in his previous factorization and simulation solutions, devising a theory of semi-analytic subspace simulation for Eulerian fluid simulation. Olivier relates his subspace scheme to Fourier- and wavelet-based representations and, as with his previous work, he proposes an efficient numerical solver that leverages his multi-resolution subspace simulation theory: using a novel energy cascade-based advection scheme, Olivier developed a proof-of-concept digital content creation tool for fluid simulations with complex fluid-solid coupling. Olivier’s contributions to the academic community are complemented by his contributions to the open source and industrial research communities. He released his surface-based fluid wave simulator in the widely-adopted open source Mantaflow fluid simulation research platform, and variants of his thesis works have been used in the digital content creation pipelines at Pixar Animation Studios and the rendering tools at Facebook Reality Labs. Olivier obtained his B.Sc. in Pure and Applied Mathematics with Distinction from the Université de Montréal in 2011, his M.Sc. in Applied Mathematics under the supervision of Jean-Christophe Nave at McGill University in 2013, before returning to complete his Ph.D. at the Université de Montréal in the Département d’informatique et de recherche opérationnelle under the supervision of Derek Nowrouzezahrai. During his Ph.D. studies, he completed research internships at Autodesk Research under the supervision of Jos Stam, at Oculus Research (now Facebook Reality Labs) under the supervision of Douglas Lanman, and at Pixar Research under the supervision of Theodore Kim. Olivier was also a recipient of the prestigious Alexander Graham Bell NSERC Scholarship, the Fonds de recherche du Québec nature et technologies Doctoral Scholarship, and departmental and faculty excellence awards at the Université de Montréal. Olivier is currently a Research Scientist at Facebook Reality Labs, where he continues his work on advancing the state-of-the-art in interactive graphics simulations and virtual reality.